Welcome to the blog! 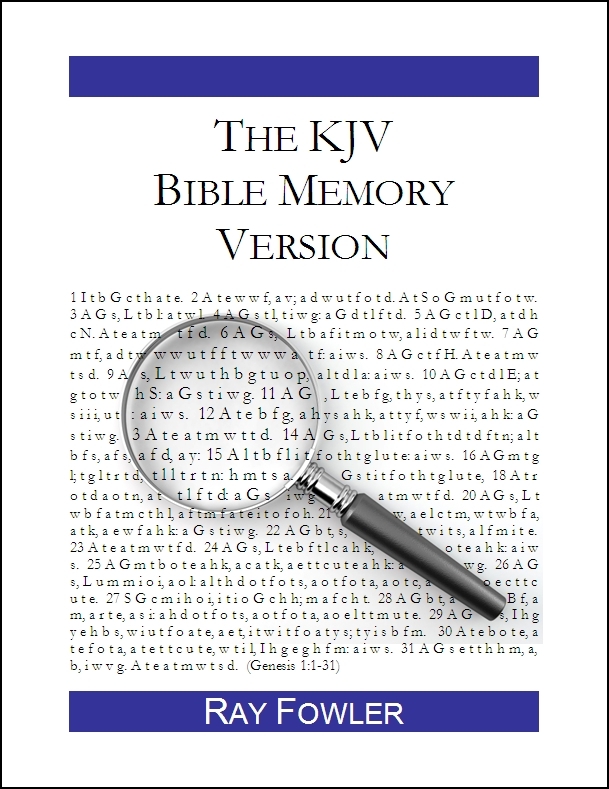 I invite you to check out my book, The Bible Memory Version. I thought this was an interesting overview of how the different religions are concentrated in various parts of the world. As a Christian it is also a good reminder of the importance of world missions and our responsibility in spreading the good news about Jesus Christ. You might want to shut off comments for this entry. Digg hates religion. Alex – Thanks for the heads up, but I’ll go ahead and take my chances. We’ll see what happens! I don’t know which idiot drew this map, but South Korea does not fall under the grey area. South Korea is very dominantly Christian. Check this article – and as somebody who came from South Korea, I feel that even this figure (31% of the country being Christian) is an understated value. Whoever drew the map needs to get more facts right. RF: Jeff – The map comes from the Atlas of Faiths in the 2003 Encylopedia Britannica. And I agree with you that there are a lot of Christians and churches in South Korea. I’m not sure why the map doesn’t reflect that. Bulgaria, Ukraine, Russia- no dominant religion?!!! Is 90% Orthodox not dominant enough for encyclopedia Britannica? RF: Svilen, I agree, that is odd. Most people in those countries would self-identify as Orthodox even if they are not active in their faith or do not attend church. Communism also had a large effect on religious belief and practice in these countries. Perhaps the map takes some of these factors into account? The “distribution” on this map is completely false and misleading. I’m sure the stats are probably fairly accurate, but I can tell you with 100% certainty that there is NOT a large clutch of Hindus living on and around Uluru (“Ayers Rock”) in the Northern deserts of Australia. Also, according to the Australian Beaureau of Statistics, the fastest growing religion in Australia is Buddhism, yet no Buddhists appear on this chart in Australia at all. Think before blindly accepting graphs, and always question the methodology of how it was created. RF: Actually, I believe the purple around Uluru there stands for indigenous religions, not Hinduism. But I’m partially color-blind anyways! 12.5% Agnostics and 2.4% Atheists = about 15% of non-believers! Of 6 billions of population this make about 900 millions of non-believers! I think that we, agnostics and atheists, and our vision of life, are extremely under represented in politics, press, culture. RF: Alessandro – Although I obviously disagree with you about God, I would fight to protect your right not to believe, and I would encourage atheists and Christians to engage in fruitful dialogue about these issues. As a Christian, I think it is a shame when Christians disregard non-believers in society, just as I think it is a shame when non-believers sometimes dismiss Christians! how are orthodox christians and protestants different? what exactly is an orthodox christian? RF: Bleep, here is a page that details the main differences. There seems to be a lot of cultural bias in this map. For example the dominant religious group in South Africa is the Zion Christian Church. I’m not sure I would call them protestant; they’re an entity unto themselves. RF: Geek – The red color on South Africa just stands for Christians from various churches, not necessarily Protestant churches. Protestantism is in orange. holden boy, when you don’t know what you’re talking about you’d better don’t even try. The Christian church split in two around 1200 (don’t remember the exact year) between Rome and Constantinople, the western (Rome) version is now Catholicism headed by the Pope, the Eastern (Constantinople)- Orthodox headed by the Patriarch of Constantinople (now Istanbul, but the Patriarch is still there, and he’s still formerly in charge, although each Orthodox country has its own Patriarch). Celebrating Christmas has nothing to do with Orthodox, the Russians refuse to accept the error made in the Julian calendar and celebrate holidays 10-11 days later than the rest of the world. Thanks this is really interesting. Funnily enough the Interior of Australia is marked as purple; “Indigenous Religions”. The tribal religion of the Anangu Pitjitjanjara people of central Australia where I grew up went into steep decline in the 60’s and 70’s, converting to Christianity in a wave of revival that went through the center. I would suggest that the predominant religion is now Protestant Christianity now. RF: Matthew – Interesting. Thanks for the info! Mr/Mrs/Miss “cartography and religion are incompatible” (post no. 4) – the purple around the centre of Australia is not representing Hindus (which is represented with a lighter pink on the map), it is for “indigenous religions”. 6th Category in the 2nd box of the legend in the bottom left of the picture shows Indigenous religions – purple. Svilen or whatever your name is. I was trying to explain what it was to someone else. Religion is not that prominent in that part so the timings are not that imporant. And I did mention that the calendar difference. BTW there is nothing to stop me from opening a new church so I don’t think that the details. And even you have given the figure 10-11 days (is it 10 or 11?). The moral of the story is go and get a life. I said, “DIE. HERETIC SCUM!” and I pushed him off. Interesting comments so far! Thanks everyone for keeping it cordial – discussions on religion too often get out of hand. It’s important to remember that the map only purports to show the majority religion by population for various regions. So there will be some subjectivity built into the map depending on where you draw the lines for the various regions. The larger you draw the regions, the less you can represent the diversity for that region, but if you draw the regions too small the map becomes unworkable. As a result not all religions in a certain area will be represented. For example, I am a Protestant Christian living in New England, but I am not represented on the map, because New England is predominantly Catholic. Still, it is an interesting look at the distribution of the majority religions worldwide. Why is it that organized religions insist on “spreading” their beliefs to others. Why not just live and let live? Why is it that with the diversity of different beliefs in the world, everyone can’t just realize that none of them are the real answer to the meaning of life? Just live your life being the best person you can be, and leave everyone else to their own beliefs. Stop trying to “spread” what others don’t want. I agree 100% with you…why do most religions feel the need to spread their particular brand of God. I personally believe that God is far greater than any of the organized religions have documented so far. In other words, while they may try, for the most part they are getting it wrong. Let each person find their own way to their spiritual destination. religions do not feel the need! It is the people who are not happy till others obey and copy them to the last detail they can specify. I am agnostic (this word is translated as athiest in some languages). But to me this means that someone higher than me does not need to have the same material tastes like me and so does not need to be made happy by offering food and so on. We are not the same form (This goes directly against the Bible). what if a persons “own way” is to spread their faith? what if they believe thats part of doing the right thing? should they not do what they are compelled to do? First of all, if someone doesn’t want it, no one should ever force it on them. I believe in treating all people with respect and dignity. I don’t believe you can ever truly force religion anyways. People are going to believe what they believe in their hearts. On the other hand, I believe that Jesus really is the answer to the meaning of life. If that’s what I believe, I would be a pretty poor Christian if I didn’t try to share it with others. I hope I do so in a respectful manner, listening to other people, but also sharing with them what I believe and why. And then if it turns out they do “want” it, then it’s a good thing I shared it. Napel is a buddhist country not a hindu one. RF: Khale – I don’t know how accurate Wikipedia is on this one, but it lists Nepal as 80% Hindu and only 10% Buddhist. I just replied to a bunch of comments “inline” – which means if you subscribed to comments you would not have gotten these updates. So, if you wanted to follow the conversation, feel free to come on back and visit the comments section. RF: Awww, don’t be too hard on us poor Americans! The distribution seems not-updated lousy work of some guesser! RF: Dai, why? Although there is a large Buddhist contingent in Nepal, Hinduism is in fact the majority religion. The map is correct on this one, and Khale is mistaken. The Eastern Church is not “headed” by the Ecumenical Patriarch (This is the title of the Bishop of Constantinople). There is no pope or equivalent. All bishops are equal (though in council the bishop of Constantinople is the first-among-equals). Rome (obviously) has a different opinion. For this and for other reasons (the filioque, the rise of scholasticism, neo-platonism, etc. ), what’s known as the Great Schism occurred in 1054 when the pope sent a cardinal to the great church in Constantinople (“Hagia Sophia”) and anathematized the entire eastern half of the Church. In turn, the Eastern Patriarchs anathematized the western church. As far as the differences in theology, that’s an exercise for the reader. There are a lot of resources online that will explain this. As a primer, I would say that the writings of Augustine (who almost single-handedly developed Western theology) are not seen as being accurate. The metaphor that I’ve heard used most often is that Western theology considers our relationship with God to be somewhat of a legal contract (e.g. atonement doctrines, rule systems describing sins, etc. ), and the Church is considered to be somewhat of a courtroom. In the Eastern Church, the Church is modeled more after a hospital, where sinful creatures (i.e., the “sick”) come to get well by developing a close relationship with God. RF: Brantley, thanks for the info and link. What I find interesting are the projections. My impression from various studies is that growth of Christian faith in the developing world is generally offset or overtaken by it’s decline in Europe and North America, even taking population expansion into account. I’m guessing that the growth chart has the assumption built in that as populations grow their “rate” of faith will keep pace. The demographics don’t seem to bear this out for Christianity. Even more interesting is the choice of profiles. Judaism is included even though Jews are vastly outnumbered by atheist/agnostics (14.9% vs 0.2% worldwide). If this were a horse race (based on % growth), I’d have my money on Islam to win and atheism/agnostic to show. sachin – I guess it all depends on what you mean by convert. If by convert you mean forcibly turn someone from Hinduism to Christianity, I agree with you. No one should be forced to change their beliefs. But if by convert you mean sharing the good news of Jesus Christ so that people can make their own decision, I would disagree. I believe that God so loved the world (people everywhere, including Hindus), that he gave his only Son that whoever believes in him will not perish but have eternal life. It is a joy to share that message with other people, whether they accept it or not. This is a very interesting map. Though it may not be very accurate but it tells us we who have been commanded as in Matt.28 have a lot of works in hands. @Pr. Ray, your last comment is Beautiful! GB…. in the Czech republic are roman catholics too!!! Pavel – The map is not saying there are no Roman Catholics in the Czech Republic. It is just saying that there is no dominant religion or the population is mainly non-religious. According to the 2001 census, 59% of the Czech Republic is agnostic, atheist, a non-believer or a non-organized believer, 26.8% Roman Catholic and 2.5% Protestant. Dylan – I agree that we should treat the other person right, but I don’t agree that it doesn’t matter what religion you have. This would reduce all religions to meaning nothing more than treating other people right, but most religions claim far more than that. The God of the Bible says that he is the only true God and forbids the worship of any other gods. Jesus Christ claimed he was God’s Son and the only way to God. If these things are true, and I believe they are, then it matters a great deal what God you worship. Think wisely when in the other peoples issue! god bless you and Buddha bless you all! Dear Sir from the National Buddhist Authority: Thank you for sharing your concerns about Christian evangelism with this website. I know that the situation among the Sinhalese people of Sri Lanka is very different than here in the United States. I know that there is a lot more violence associated with religious proselytism in your area of the world, and I can understand why you would be wary of Christian evangelism in that context. Let me respond on two fronts. First of all, I am a Christian and I have never killed or harmed anyone because of their faith (or for any other reason either!). In fact I don’t know any Christians who have killed or harmed someone because they have a different religious belief. Harming other people is not a part of Christian teaching; it is forbidden by Christian teaching. True Christians are people of peace who follow Jesus Christ, the Prince of Peace. Secondly, as Christians we are required to share our faith with others. We have an obligation to share with all people everywhere the truth about Jesus Christ and his resurrection. However, we have no right to force anyone to believe. In fact, that would be counterproductive, because forced faith is not genuine faith at all. I don’t understand all the religious violence in your part of the world, and it pains my heart that your people associate Christianity with violence. I also know that there is much persecution of Christians in your part of the world which only contributes to the problem. Please know that God loves you, that he sent his Son Jesus to die for you, and that true Christianity is all about peace, not violence or war. And I pray God’s peace upon you and your country. I was going through above comments and your replies especially to mr. Sachin. Conversion in India is going on tribal or village people in India they are very poor and struglling for their livelyhood and don’t have any knowledge on the rest of the world to understand what the religions or what goods things in their religions itself. Missionaries are receiving a huge fund from outside and using that money for these conversions. Hinduism is a religion never force anybody, never spend any money and always welcome other religions people to India, given special treatments to minorities (minorities are getting better preference in India in the law). Now those people are using their money and force to convert means something that cannot explain through words and very painful. Millions of people in the world is practicing Yoga, teaching by Hindu saints, go there and learn how they are behaving to their followers, is there any attempt from act, or words or other means to convert their mind, NO. If it is like that you will find plenty of hindus in europe and america in the near future. Dear Vinu – I appreciate your concerns, and thank you for taking the time to share them here on the blog. I agree with you that no one should use force to convert anyone from one religous belief to another. One should also not use money as a bribe or means to convert another person. These methods are wrong and I stand with you against them. However, I do not believe it is wrong to share your religious views with another person in hopes that they might also come to share your view. I believe that God sent his Son Jesus to be a Savior for all who believe in him. I believe that Jesus is the only way we can be forgiven and restored to relationship with God. I believe this is good news for all people. Because I believe this is true, I share it with others. And because I believe it is important, I give money to support others who also share this message. I know it is painful for you to see the message of Jesus being spread in your country. And I am sorry if there are some who use money or force to try and convert others. But I believe the message itself is true and pray that you too will come to know the forgiveness of your sins through Jesus Christ. Anonymous – I agree with you on the Ukraine (about 75% Orthodox), but Russia is more of a mixed bag (Russian Orthodox 15-20%, Muslim 10-15%, other Christian 2%). Seventy years of Soviet rule took its toll on religion there. Also, the eastern sections tend toward more pagan and indigenous religions. First we wanna suggest that Christian like you is understand what the doctrine of others and well understand of you own and limit too. Any way there is thousand Srilankan youths are trying to peacefully avoiding the matter of forceful and unethical proselyting activity’s of evangelical churches. The New Cardinal for srilanka clearly having says in news that they are not doing conversion in forceful way but few of groups are doing it. also he mention futher that the evangelical groups converting the some of catholic to evangelism and the few of Catholics priest has call up his help. We hope as a Buddhist we have a main responsibility to protects the rights of Christianity,Muslim or Etc. Hence even Honorable Cardinal Cannot decide exactly what to do regards this problem hence there is few Catholics priest also contribution their daily activity to convert Buddhist,Muslim,Hindu For a Evangelism.with new inter faith activity at srilanka now again evangelicals are trying to use the money ,their effort in those programmed behalf of first step to the converting a man in to the closer of their belief.few of Ministers at Srilankan helping to those missionaries hence they have money.we are as a Organization only explain the danger of evangelism to the world as we believe if continually evangelism effort ongoing with world current situation it can lead to the crusade wars. Buddhist may merciful to missionary but not Muslim, Hindu or other god religious peoples hence they will be argue and say their religion is the best religion in the world. we are Buddhist and we do not need to see that crusade began and unnecessary peoples are dying for their god. We Buddhist respect Christians or Muslim or other followers who maintain the doctrines of their belief, but we do not accept anyone’s “right” to proselytize. Thanks for the Reply. we are agree to that your sayings. as we Buddhist we how Jesus Christ�s death happens and resurrection with others. There is a many documented buy some of Authors that Jesus Christ has studied Buddhism and he has live in India. (do you have read this book http://www.amazon.com/Jesus-Lived-India-Before-Crucifixion/dp/1852305509). also in other hand some of publication say that Jesus is never exit.in other hand the old text form Verdict literatures mentioned about him more than 3000+ years before he appeared . his present or his absent is not a matter to us as Buddhist we respect other religious belief.we having heard that golden quote saying. if we tell something more about Buddhism and our few of controversy peacefully happen with missionary around 1873 . The two key persons in the Panadura Debate were Migettuvatte Gunananda Thera for the Buddhists and Father David de Silva for the Christians. It was the success of the Panadura Debate that prompted Colonel Henry Steel Olcott to come to Ceylon. He was impressed with what he read in the newspapers in the United States on the Debate and immediately sent a mass of pamphlets and other literature which was very critical of Christianity. Gunananda Thera got these translated into Sinhalese and distributed them all over the island. As a former Christian missionary, I believe that missionaries inadvertantly cause more harm than good. They bring the “word of God” with them, not knowing the people, customs, reasons for the customs, etc. to whom they witness. In my experience, I and other missionaries went there for what we considered a sound, caring, loving reason, but forgot that we all live from our own world view. Because often we believe our own world view is “the truth” we don’t take the time to figure out if it actually is and what we still need to learn. I discovered this in the mission field. Living truth is evangelical in and of itself. You don’t need to push your point of view on others, or offer food, clothing, shelter, etc. in exchange for hearing the message. For the Bible says that spirit will carry the message of truth. If we live by example and stop trying to change the world to our small and inadequate perspective of life then and only then will God be seen and heard. Ray, I saw the map, and I saw all the mails so many people sent you. I just wanna say: THANK YOU FOR THE INFORMATION. Maybe it wasn’t 100% or 95% exactly squeaky true to every last bit of square meter of the earth and every thought of every existing human being, but I think it is quite a good job, remarkable,… and the only thing I had before that was a map from 40 to 50 yrs ago at least of the World Atlas. And thank you for being brave enough to post something like this. If I knew I was going to receive so much mails, and some not so nice, I’d never would have put the map on the net in the first place. The sad reality in that map is that usually we sleep over the security it gives to be a part of a majority. I’m a Southamerican Roman Catholic (Yes, a “yellow” one), but what one feels is far from contentment and easiness from being “one of the gang”. I have heard many protestants being critical and even offensive of our church, but the worse deridings come from ourselves. The attitude of many Roman Catholics here about their religion is some like the attitude of many americans toward the KKK or the killing of indians in the west in XIXth century. That`s what the map doesn’t show. Maybe, as Gandhi said, religion is our mother. And so, under that yellow color in the map there is much sorrow, for a mother that, even not being perfect, and having many defects, we wouldn’t change for another. Would many people change their real mothers for another person, for that? God love & bless you. Romania is totally red on the map above, meaning that 100% of the population is Orthodox Chr. ??? Just for information, I live in Romania and in the Transylvanian part of it, more than 35% of the population is Roman Catholic & Reformat. hi, for me, from adam to noah, noah to abraham, abraham to solomon, solomon to moses, moses to jesus, jesus to muhammad. The all names i mention is a prophet. God send all this prophet to us to reminds us he is God. God is not human. But all prophet is human. Moses bring Torah, Jesus bring Bible and Muhammad bring Quran. The all mission is same, bring the message from God to human to be followed. So we must respect each other religion. Thank You for the reply Ray ! Ilike themap, I believe it is. Believe it is relevant for my work….. I would like to download a copy of it for my use if this is permissible I think it gets things started in the correct direction to know who you to be approaching for sector of the world thank you! When I look at the map, I see an expression of various civilizations’ culture and history through religion. Christianity spread to areas that Spain and England conquered. Islam spread through areas that Muslims conquered, etc. The conquering was done for many reasons and religion tagged along as each groups culture spread. Looking at the map, it makes not sense to me (personally) that these systems were sent by a just God. Why, afterall, would He select only to inform certain people of the “true” way? (And even his selection was poor–the desert civilizations of the middle east were mostly illiterate and had no real boat technology–and the means of spreading the word were not included in the book). If He is all powerful, why not inform everyone at the same time all over the planet? Some argue that all religions are really expressing the same thing. That would be nice, but even a cursory study of the various religions shows they are incompatible. And a look at the conflicts around the world (and need to “spread the word”) shows religion is very different depending on which civilization you visit. Take Christianity and Hinduism or Jainism, as obvious examples. But we can also look at various Christian denominations and see how each culture tweaks the same system of beliefs. As we globalize and learn more about each other from different parts of the world, it seems more obvious (to me personally) that religion is an expression of each culture and is man made. However, lots of man-made stuff is really good! Look at the structures we build, the systems we have built (democracy, the economy), music, art, medical technology, the space exploration. Religion is a useful tool: providing a common goal and mechanism to analyse problems, provide clearly definied roles so that each person in the group can cooperate. Afterall, humans are at their best when they cooperate; name one good man-made thing that exists that didnt require some level of cooperation between humans. The problem today is that as we become more integrated–so religion is acutally dividing us–and in a very dangerous way.